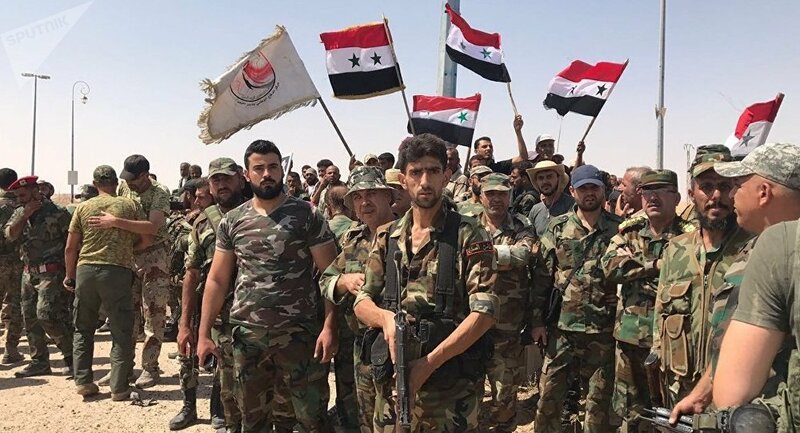 Washington (CNN)Troops allied with Syria's President Bashar al-Assad are determined to "end the presence of the US" in the country, Syria's state-run news agency, SANA, said Monday, citing an official at the regime's Foreign Ministry. The official told SANA that the Assad-aligned Syrian Arab Army would thwart the "conspiracy, end the presence of the US, its agents and tools in Syria, establish full control over the entire Syrian territory and preserve the country's sovereignty." The US maintains some 2,000 troops in Syria and has said its forces will continue to back local anti-ISIS forces there until the extremist group is defeated and the area is stabilized. The Syrian statement comes after the US-led coalition fighting ISIS announced plans Sunday to boost border security in the region, a move that Syrian and Turkish officials have said would destabilize the region. WNU Editor: With the Russians, Iranians, and Turks condemning the U.S. and their support of the Kurds, I guess the Syrians now feel confident that they can also jump in and threaten the U.S..